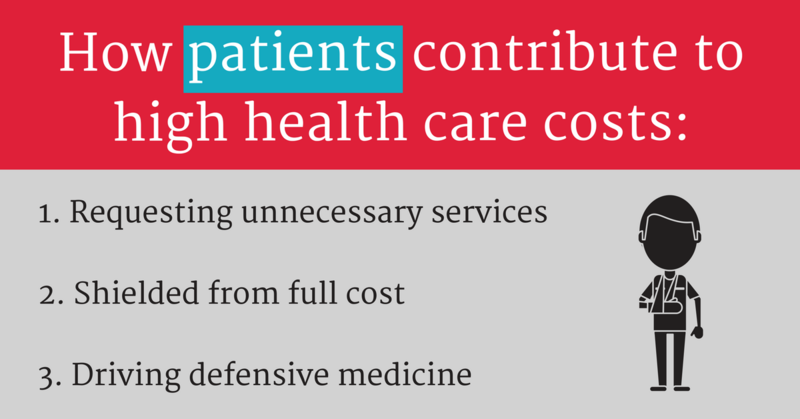 The cost of health care has reached staggering proportions – how did this happen? Is it because clinicians prescribe too many unnecessary services? Or that patients request them? What about big pharma and medical device companies, which profit from raising prices indiscriminately? Or is it that hospitals pay their CEOs millions but have no incentive to cut costs? In anticipation of Right Care Action Week, we are taking on the case of high health care costs week by week. Check back on the blog each week leading up to Right Care Action Week for examinations of each “suspect.” And don’t forget to join us for a digital event on October 20, 2017, to hear what we learned about health care costs during RCAW and what we plan on doing about it! Read the entire blog series – Part 1: Clinicians, Part 2: Patients, Part 3: Industry, and Part 4: Hospitals. In Part 1 of the Mystery of High Health Care Costs blog series, we noted that overuse is a huge driver of health care costs. While clinicians certainly contribute to overuse by providing unnecessary services, patient requests also play a significant role. In a recent survey of clinicians on overuse, 59% said that patient demands for unnecessary services drive overtreatment. Many patients seek tests or treatments to eliminate uncertainty for their own peace of mind. Others are influenced by direct-to-consumer advertising that offers a more effective treatment or medicalizes a normal condition. This can translate to higher costs because physicians are more likely to prescribe expensive brand-name medications when requested by a patient. 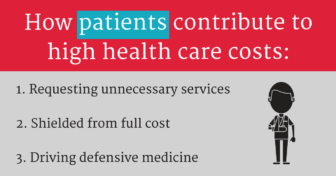 Politicians like to say that patients don’t have enough “skin in the game” – that they don’t price-shop for health care because insurance shields them from the full cost. While this is becoming less and less true as high-deductible insurance plans become the norm, most insured patients still do not pay the full cost of their medical care. This is good news for insured patients, but bad news for health care costs. In a recent survey, only 3% of patients said they had compared the price of medical care from multiple providers in the past year. The system of insurance paying for health care makes prices much less transparent and reduces the demand for price containment. 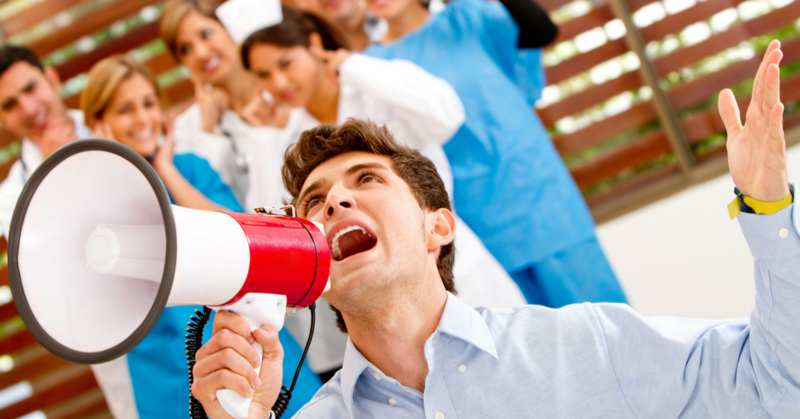 Defensive medicine, or providing unnecessary services to avoid a potential malpractice suit, is a significant driver of overuse. When doctors were asked why they believed overuse was so common, 84.7% cited fear of malpractice as a factor. Malpractice is not very prevalent; only 2-3% of patients affected by negligence actually pursue a case. But in a system where more is considered better and malpractice is a perceived threat, doctors often protect themselves by offering unnecessary services.